The anonymous pizza wearer with "a deep Williamsburg drawl that makes Al Pacino sound like a girl"
Today's street artists seem to be superstars as often as they are disillusioned inner-city kids scrawling their discontent in an alleyway; and hobnobbing with the art world great-and-good as frequently as engaging in an obligatory bout of isolated, existential angst in their bedrooms. How, then, has the Brooklyn-based BÄST - a fixture of the urban art scene for more than a decade now - managed to remain so anonymous? Is it by not existing at all? That is what many art world bystanders certainly suspect, given the tendency for even some of the more recognised names in modern street art to be side projects of another artist or group. But could that possibly be the case with such a prodigy as BÄST? To come anywhere near answering all of these questions, we need to shed at least some light on a career that has had already benefited from no shortage of illumination, even as the man himself has refused to step out of the shadows. The notion of BÄST as the offshoot name of another artist would be rather more convincing if his work bore a more obvious resemblance to that of the other urban creatives with which he has usually been associated. 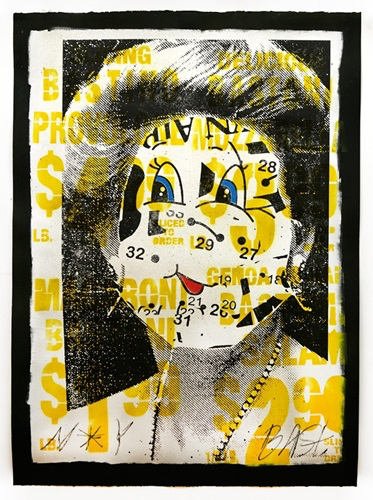 BÄST has joined forces on numerous occasions with the New York artist group FAILE, for instance, but while the latter's creations exude a more populist mass-media appeal, the former produces harder-edged, rougher and less compromising works. He draws on an arcane thematic palette of golden-age animated characters, 'old school' glossy lifestyle magazines and the unsophisticated brand imagery of NYC's independent fast food stores, with the result being - to say the least - truly thought-provoking and iconic pieces in their own right. Another factor that will doubtless add to the chin-stroking surrounding the artist's identity and story, is his arrival to a position of eminence for an urban creative so anonymous. This is a man, after all, whose works have taken pride of place in international group shows since 2003. 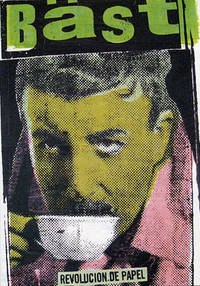 BÄST and his many memorable works such as his early wheat-pasted posters - which consisted of jumbled media clippings subsequently standardised on a photocopier and screen printing bed - quickly became known to audiences in New York, Los Angeles, Colorado, London and Berlin. By 2005, he was ready to hold his first New York solo exhibition at the Transplant Gallery, where the release of his limited edition book - REVOLUTION DE PAPEL - was marked. BÄST's bold and aggressive canvases have appeared in galleries which include Fuse in New York City, New Image Art Gallery in West Hollywood, Lazarides Gallery in London and me Collectors Room Berlin. BÄST is one artist who has traversed considerable territory - not merely geographical - in a very short space of time. In common with many urban artists who have subsequently acquired a measure of art-world critical and commercial acclaim, BÄST has had to adapt his art-making process, although it is difficult to argue with his success in doing so. His exhibitions may be rare, but they attract considerable attention, with high-profile shows including The Deluxx Fluxx Arcade in 2010 and 2015. Another collaboration with FAILE, this exhibition proved a landmark in the urban art movement, memorable on account of its playable unique arcade machines that were the artists' own creations. Fashion and BÄST collided in the form of a collaboration with fashion maestro Marc Jacobs. The single season partnership became a five season long fashion success. 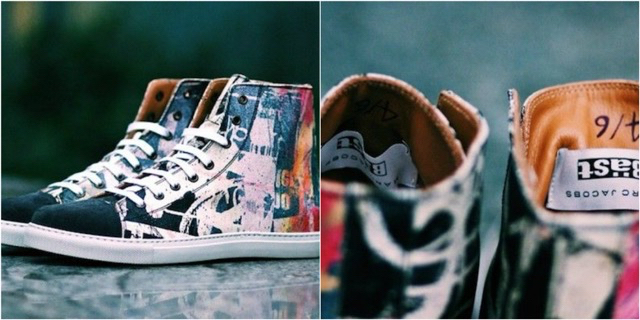 2014 saw the creation of limited edition sneakers featuring “painted canvas from BÄST's archives, which makes each pair a true work of art and ensures that no two shoes will be exactly the same.” BÄST has also collaborated with designer Agnès b. But even if you don't remember the name BÄST by all of the above or even his actual artwork, we'd suggest that you at least remember him by this wonderful quote: "I go to sleep with a pizza on my chest. It's embarrassing." If that's not a signal of a classic outsider artist spirit, we quite frankly don't know what is.